The new C4 features improved aerodynamics, more chrome and a 'purposeful' front end, Citroen says. Citroen has released the first images of its new C4 compact hatchback, a crucial car for the French brand in Europe's second-largest segment, which is dominated by Volkswagen, Ford and Opel/Vauxhall. Citroen will unveil the five-door C4 at the Paris auto show in October, along with a sporty, three-door sibling called the DS4 that will be sold as part of its upscale DS range. 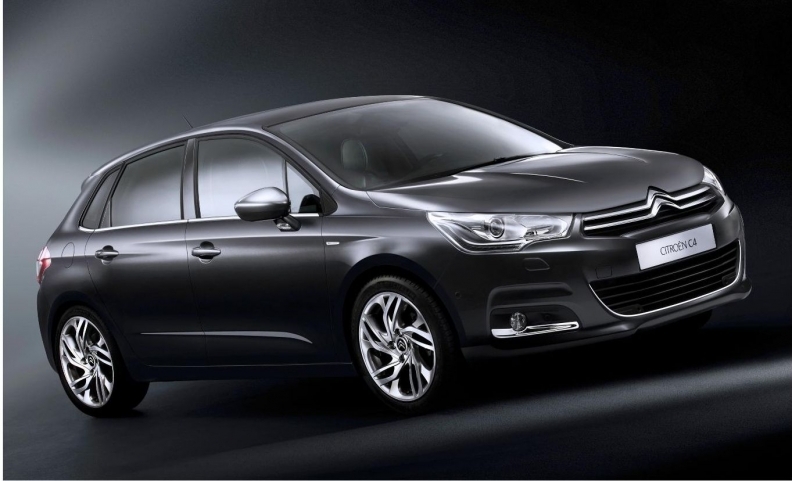 Citroen believes a stylish design and technological innovations will help the new C4 do better than the current model in the compact segment, which accounted for 3.2 million sales in Europe last year, according to market researchers JATO Dynamics. Last year, with European sales down 21.5 percent to 95,878, the C4 was outsold by Asian rivals such as the Hyundai i30 (100,238) and Toyota Auris (98,137). The new C4 is 50mm longer, 20mm wider and 30mm taller than the current model at 4330mm in length, 1790mm in width and 1490mm in height. Citroen says the car offers class-leading levels of interior space and occupant comfort with a 408-liter luggage compartment is the biggest in its class. The C4 will have technologies such as a new blind-spot monitoring system, lane-departure warning system and speed-limiter with road-speed memory settings. The model will come with eTouch, which offers on-board emergency assistance, but also enables drivers to monitor their driving patterns and fuel consumption, and receive advice on how to improve their fuel economy. The C4 will have diesel engines coupled with a stop-start system that helps deliver CO2 emissions starting at 109 grams per kilometer at launch and 99 g/km on future models. The car will be produced at parent PSA/Peuegot-Citoren's Mulhouse plant in France and will go on sale at the end of the year. DS4 sales will start in late spring 2011. The car will be the second model in the company's DS sub-brand line following the C3-based DS3, which is partly inspired to BMW's Mini in terms of product personalization.